Dawoud Bey has a long history of creating complex portraits of black Americans, a project he embarked on in the mid-70s while taking pictures of people in Harlem, N.Y. In this tour of his exhibit with WBEZ's Alison Cuddy, Bey talks about the stories - and philosophy - behind his photographs. 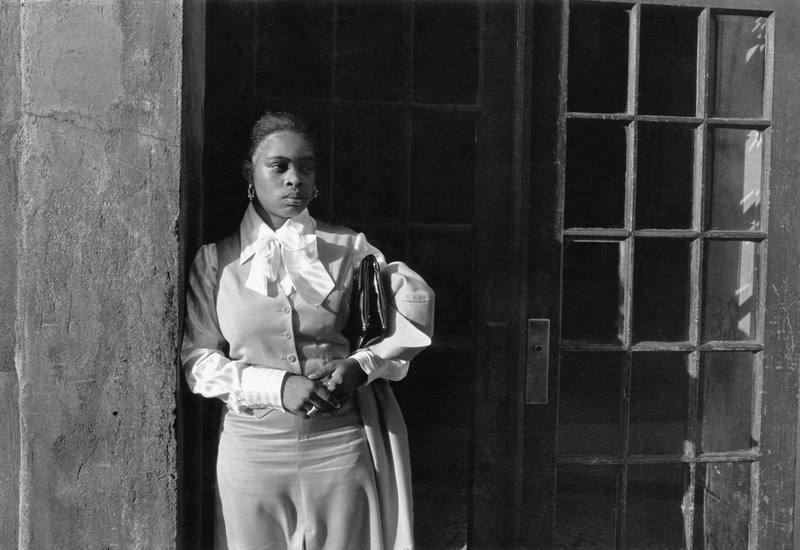 Chicago-based photographer Dawoud Bey is having what he calls a "landmark" moment - his work is the subject of not one but two major exhibitions in the city this month - Picturing People at the Renaissance Society in Hyde Park and Harlem, U.S.A., which opens tonight at the Art Institute of Chicago. Bey has a long history of creating complex portraits of black Americans, a project he embarked on in the mid-70s while taking pictures of people in Harlem, N.Y. In this tour of his exhibit with WBEZ&apos;s Alison Cuddy, Bey talks about the stories - and philosophy - behind his photographs. Bey: "This particular photograph I was out one Sunday morning. And I saw this man as I was walking down the block and knew that I wanted to make a photograph of him." Cuddy: "What struck you about him?" Bey: "Well, he’s very elegantly dressed and I also think he’s dressed in a manner that looked like it could be 1932, 1945, it didn’t necessarily look like 1975." 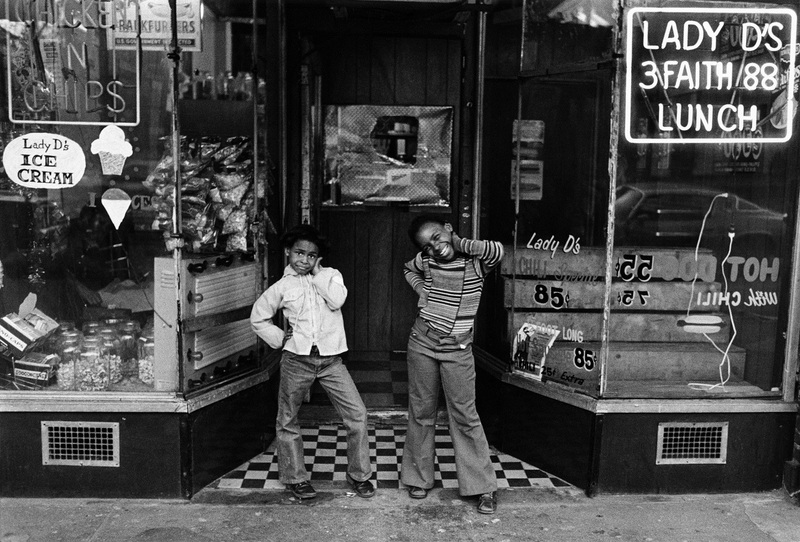 In the mid-70s, when Dawoud Bey decided to photograph the community of Harlem, he was just starting out. The twenty-something-year-old already had an eye and some technical chops. But he needed another tool - social skills. "How do you insert yourself into a conversation that people are having and say, &apos;Excuse me, I want to make a photograph, but not a photograph of all of you, I just want to make a photograph of you&apos;?" Bey asked. "And I didn’t know quite how to do that so I lost my nerve so I just said good morning and kept walking. And I was walking to the end of the block, I was kind of kicking myself, I knew I was going to have to figure out a way to get outside myself." Of course Bey went back, and the man of course agreed to be photographed. And out of that encounter emerged something else – a compelling portrait. "I like all the interesting gestural nuances," he said, describing one of his photos in the show. "I like the way he’s holding his hand, the white bowtie against the white shirt, the whiteness of his mustache against his dark skin. The kind of jaunty angle at which the hat is set. He’s a very self-confident, self-possessed man presenting himself to me, the photographer." The Art Institute acquired Harlem, U.S.A. recently. And this show marks the first time all the photographs will hang together again since their original exhibit in 1979, at the Studio Museum in Harlem. When we sat down for more conversation – away from all the installation activity – Bey explained how that time and place were meaningful to his development. Bey : "It became the place where making art was no longer a solitary activity for me, that I realized there were other people like me, out there, in the world, in New York, and that I could begin to have conversations with them, and also form a community of support with other young African-American artists, and in some cases, older African-American artists, around the issue of what did it mean to be a black artist working at that particular moment." Cuddy: "What kind of answer did those photographs provide you or begin to provide you?" Bey: "I began to make photographs that had more to do with what I was hearing and experiencing in Harlem, and what the people I was photographing in Harlem were offering me rather than some preconceived notion about how I could put a positive visual spin on the black experience. It became more complex than that." That interrogation of his own perceptions – and ours - is a hallmark of Bey’s work. When he has shows in institutions, he’ll also rummage through their holdings to curate a companion exhibit that provides context – as he’s done at the Art Institute. Bey seems bent on making stuff transparent – how museums select and display work, and how he chooses and works with subjects. In the early &apos;90s he started making large, color photographs of young students around the country - and asking them to engage heavily in the process. For example, he has them write stories about their identities. And then, they sit - for his camera. "It’s a performance of a kind," Bey said. "Because I basically become at that moment the director and they’re the performer. Only thing is that what they’re performing and who they’re performing they’re performing themselves." Most recently Bey is exploring an idea his work has become strongly identified with – community. He’s doing it by photographing pairs – members of the same community who are strangers to one another. "I’m trying to deal with this question of what exactly do we mean when we say the community," Bey said. "Because the construct of community is far more complex than is often eluded to when people talk about community – we’re trying to engage the community, we want to do some outreach in the community. Like who exactly are you talking about?" These new images will be part of a survey of his photographs, which opens at the Renaissance Society in Hyde Park later this month. Bey calls this a “landmark” moment: having two exhibits which simultaneously survey the past and future of his career. And perhaps that explains something he now sees in his earlier Harlem images – how they capture moments in which you can see the community’s history and present come together. However meaningful these images remain to him, the people in them are now more of a mystery. "For the most part I have no idea what’s happened to any of the people in these pictures," Bey said. "You know we came together for a moment, made the photograph, and then I moved on and their lives continued. I’ve always wondered though." Dawoud Bey’s Harlem, U.S.A. runs May 2 - September 9 at the Art Institute of Chicago. Picturing People opens May 13 at the Renaissance Society in Hyde Park.